In the heatwave of the weekend, Ivanhoe Runners were busy representing the club in various races in the UK and Ireland. In the midweek races, just Lucy Allsop ran at the Derby 5k, obtaining a time of 25:58. 3 Ladies took on the Leicester 5k at Victoria Park, picking up the women's team prize. Finishing first with an age category win was Sue Tait in 26:16. Marie Miller and Helen Brandon were both delighted with their times of 29:09 and 29:14, new personal bests for both and first sub 30 minute 5k times. Team Webster-Sanders were joined by the Jeyes in Ireland as all 4 ran at the Daniel Kingston Memorial 5k on the 21st, led by Andy Jeyes with a speedy 21:41. Judith Webster-Sanders finished in 25:46, closely followed by Kevin Sanders in 26:06. Sally Jeyes completed the team in 27:57 with another good run. Next on the agenda was Bere Island parkrun, a friendly, enjoyable event which included a ferry trip and minibus ride to the start. 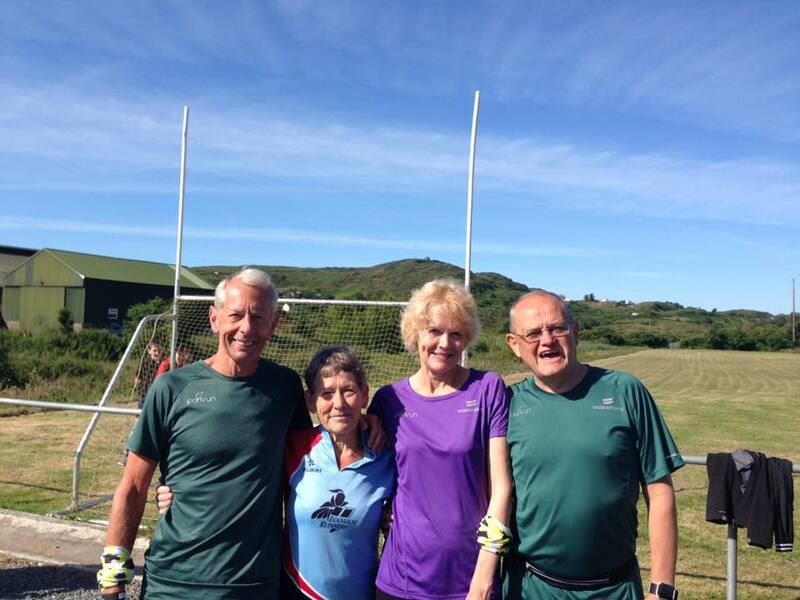 It also marked Sally's 100th different parkrun. The Jeye's then headed to the west end of the Beara peninsula to run the Ahilles 5 mile race. On a hilly coastal course Andy finished in 38:25 to claim 1st V60 while Sally finished at 48:02, 9th lady overall. Meanwhile the Sanders continued on to Dublin for the Irish runner 5 mile on the 24th. Judith once again had a flyer to finish in 42:24, while Kev crossed the line in 44:36. Ian Kirk attended the Mynd Drover Challenge on the 23rd, taking on the marathon distance. It was a gruelling, hilly course taking 6 hours to complete. It was the Humber Bridge half marathon for Alan and Karen Edwards. Alan came in at 1:49:50, ahead of Karen who was very happy to clock 2:09:38. 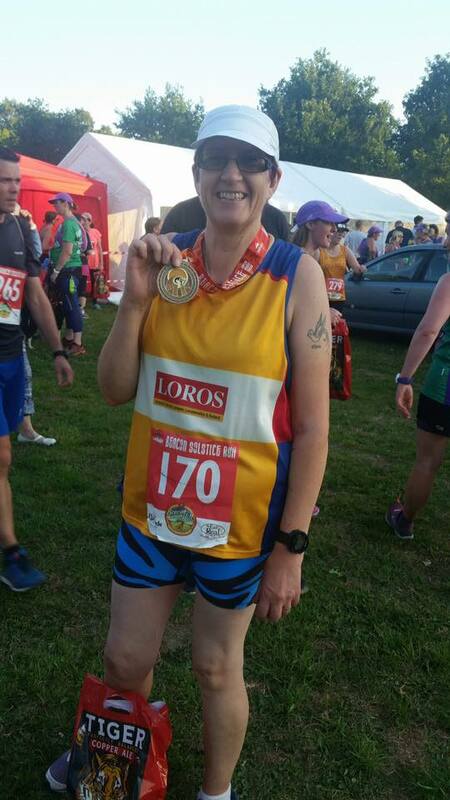 Mandy Morris ran 2 races over the weekend as part of her challenge raising money for LOROS, starting with the Beacon Hill Solstice run, clocking 53:59 for the five mile event, along with Liam Buckler in 53:00, before heading to Swansea for the half marathon. Mandy was delighted to finish in 2:18, a 30 minute PB.